As we all know that the blogger platform do provides many features to customize your blog, almost entirely. 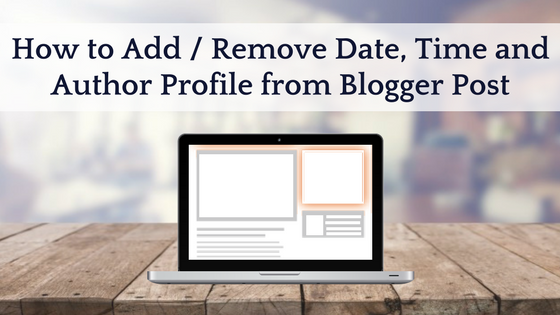 Some of their features allow to enable or disable date, time, social share buttons, reactions and even author profile on your blogger posts. The best about this is you can anytime change the settings whether you want this options to show or not. To do this you don’t need to have any kind of coding knowledge to hide date time and author profile because blogger already has a build in drag and drop feature to apply all those settings. Here in this tutorial, we will show you how to insert or delete date, time & author box on your blog articles. 1. 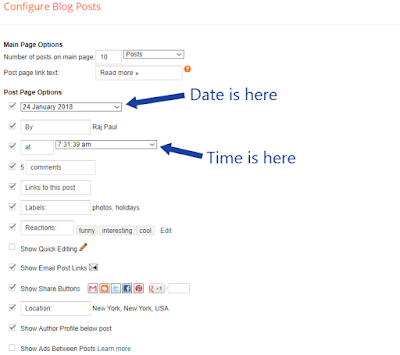 Login to your blogger account, click on layout page and hit edit on blog posts gadget. 2. 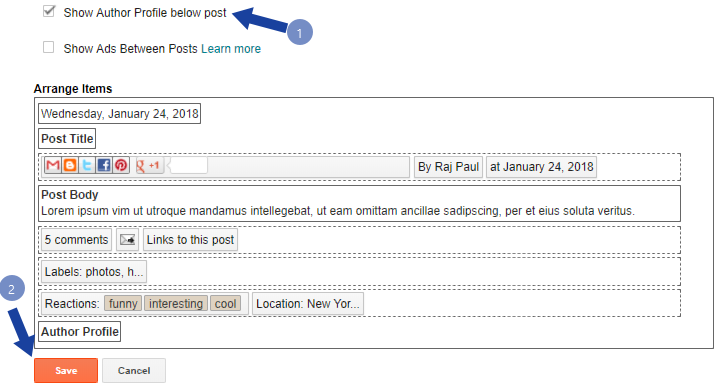 Now you will see tons of options to customize your blog post. Click date and time box to appear in your post, but if you don’t want then leave it as unchecked (blank). 3. Below the ticker box, you’ll see that it shows the live demo of how it will actually look on your blog. You can even arrange these options according to your choice. 4. Once you’re done with the settings, click save. You need to follow the same above process to enable or disable author profile below your blog post. 1. 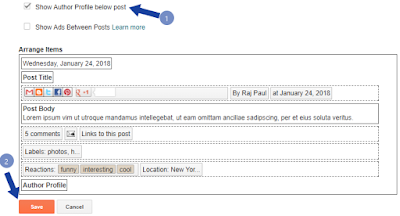 Go to layout and click edit on blog posts widget. 2. Click show author profile below posts button, and hit save. Congratulations! You’ve successfully added or removed author profile below your blog post. If you want to add about author profile gadget in the sidebar or in the footer of your blog then read this guide. 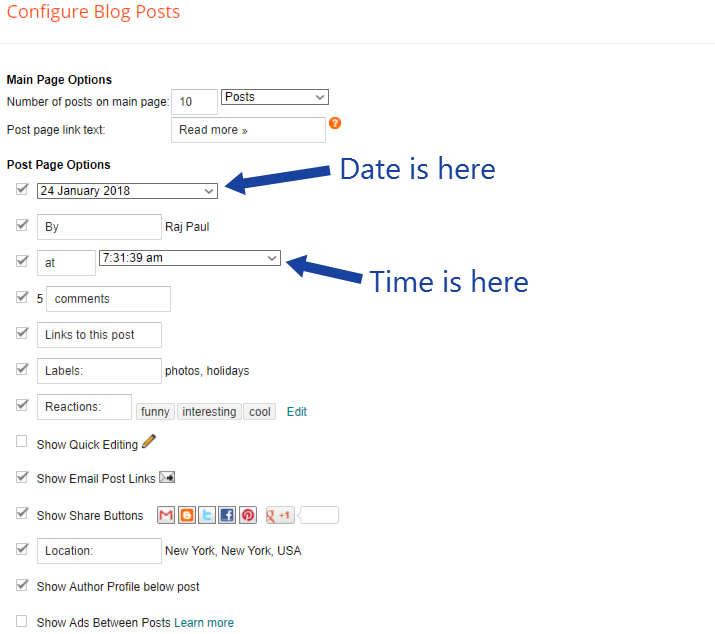 Its the only way to hide or insert date, time and the author profile gadget within your blog posts. You can also remove or allow labels (also known as categories in Blogspot) on your blogger articles. Once you are done with those settings, click ‘save arrangements’ and preview your blog whether its working or not. Getting error while customizing Blog posts Gadget? Let me know in the comment box below and also subscribe to our newsletter to receive latest posts, deals directly to your mailbox.